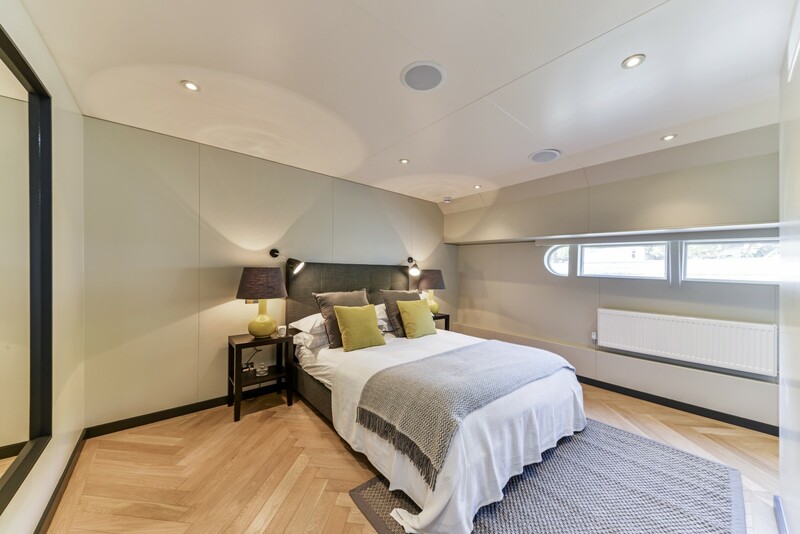 Sonos multi room audio system with ceiling speakers to principle rooms. 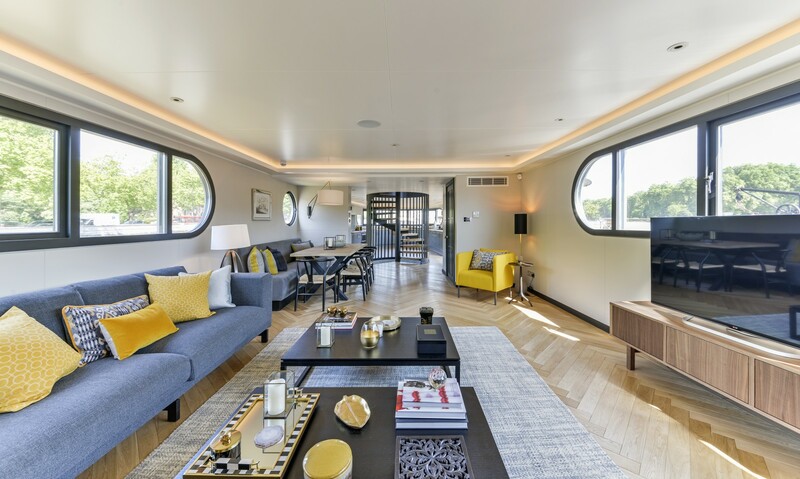 This stunning interior designed houseboat offers an incredible 3,400 sq. 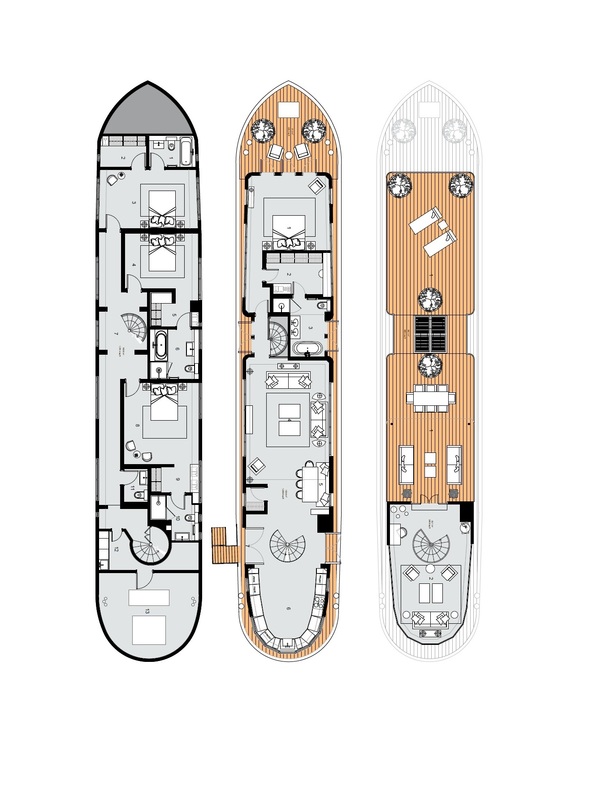 foot of lateral space (plus another 1,000 sq. 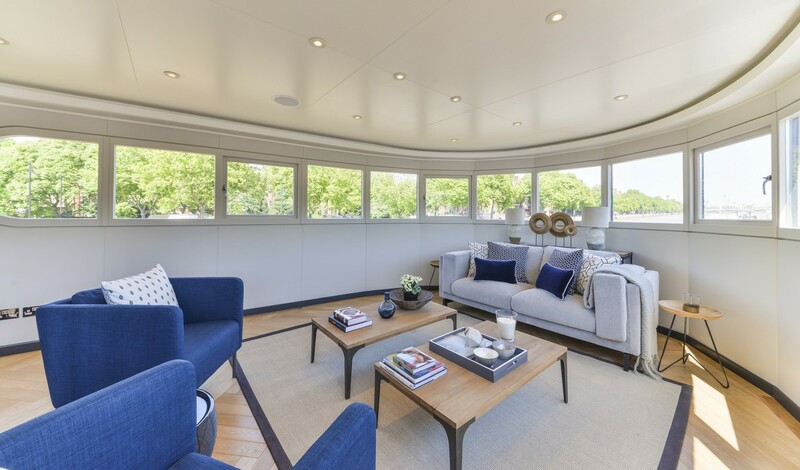 ft. of external space) in the heart of Chelsea on the river. 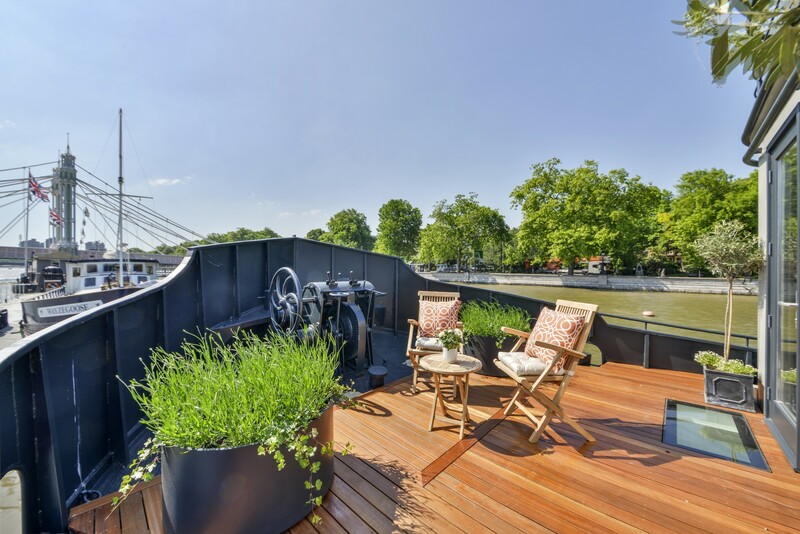 With direct views of Albert Bridge and the river it offers a rare opportunity for a very special and unique way of living. 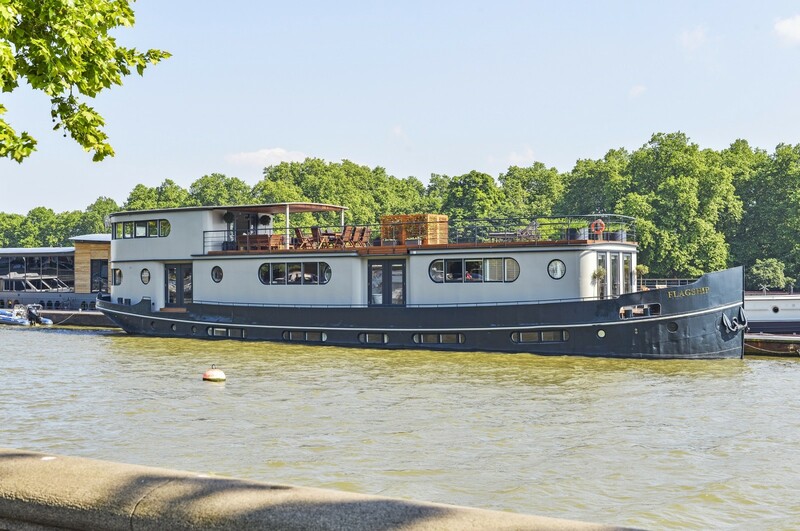 She is moored on Cadogan Pier on a new 50 year licence. 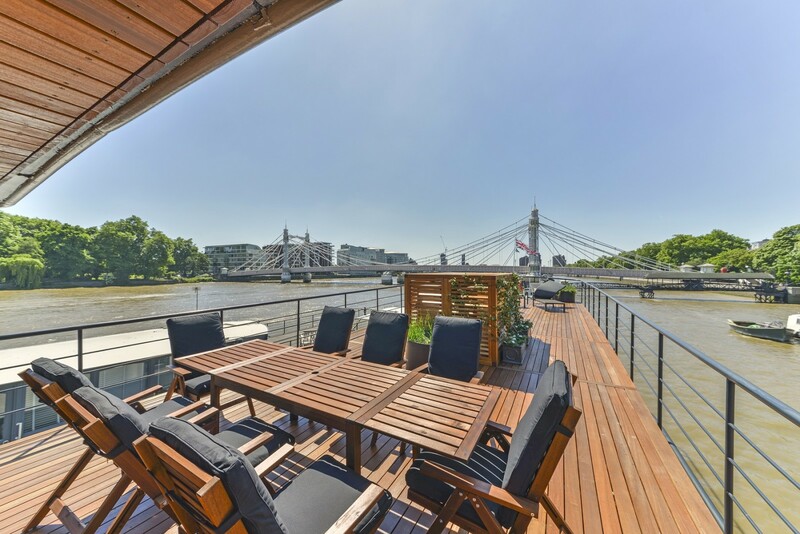 Cadogan Pier is Chelsea's only privately owned Pier which also benefits from the convenience of the Riverbus service. 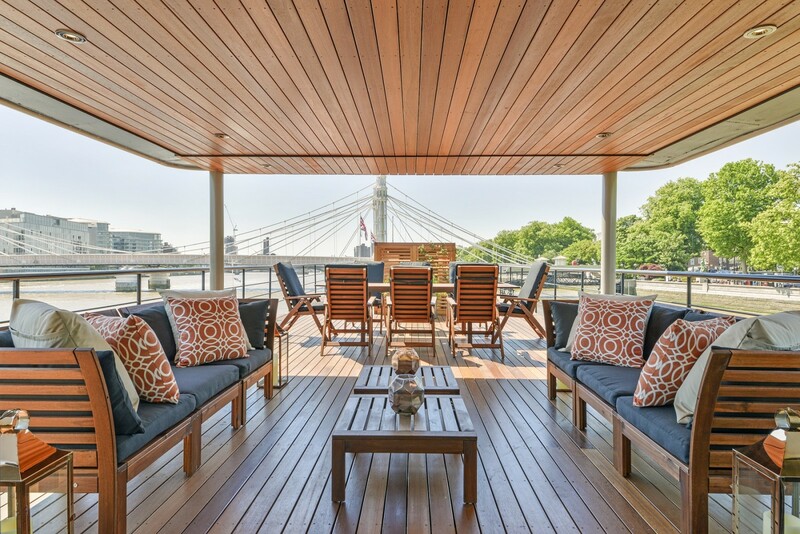 Cadogan Pier located in the heart of Chelsea is over 150 years old. 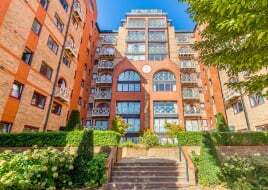 On one side of the river are the historic houses along Cheyne Walk and the other the open spaces of Battersea Park. 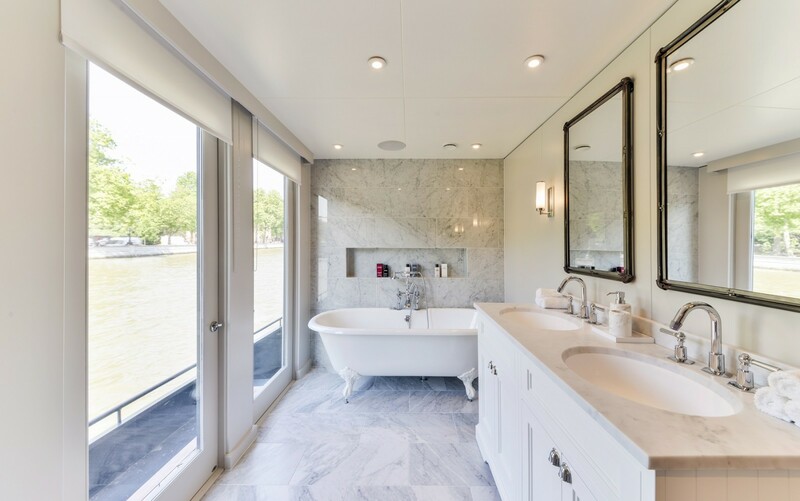 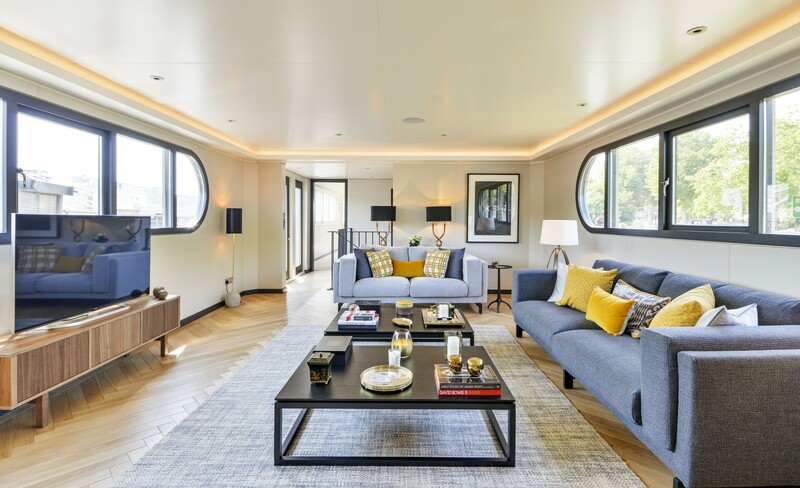 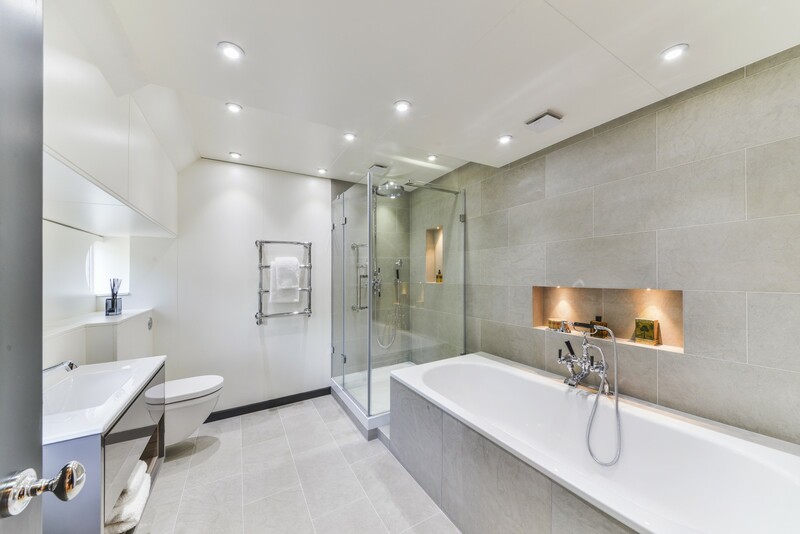 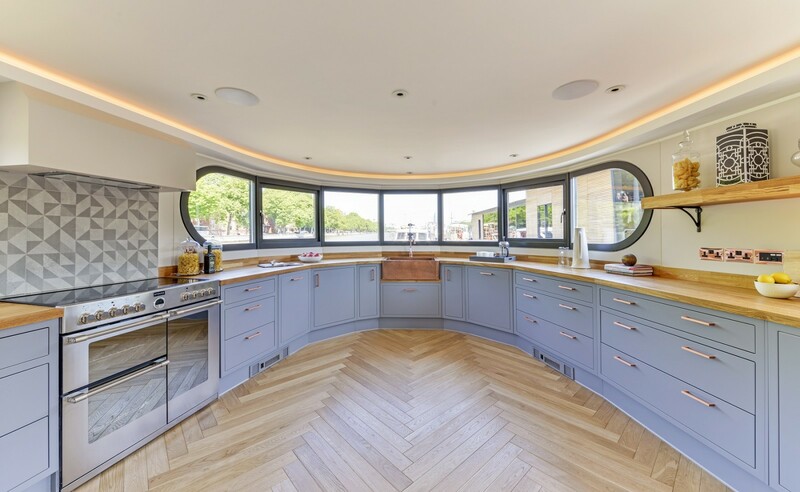 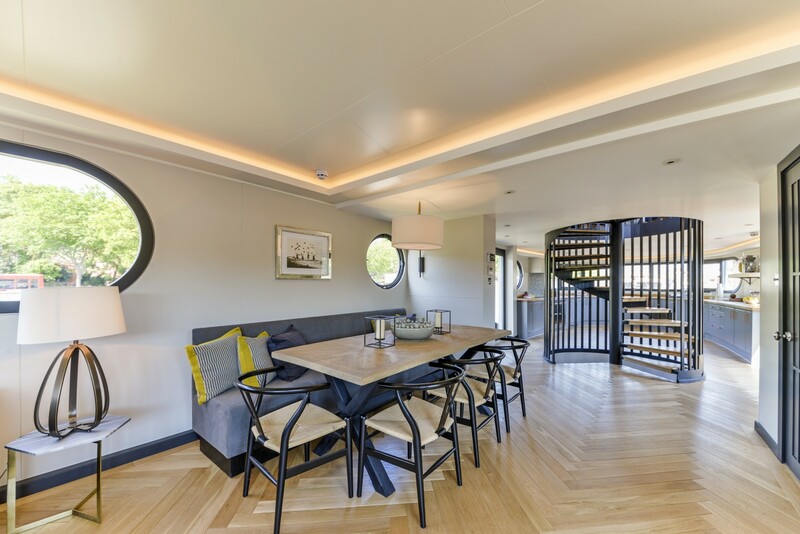 Flagship has now undergone a complete re-design and fitout with leading interior specialists to produce one of the most beautiful houseboats to be seen on the Thames. 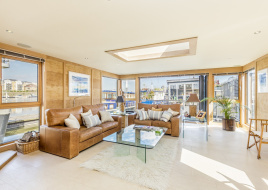 Her specification compares to a high end property on land. 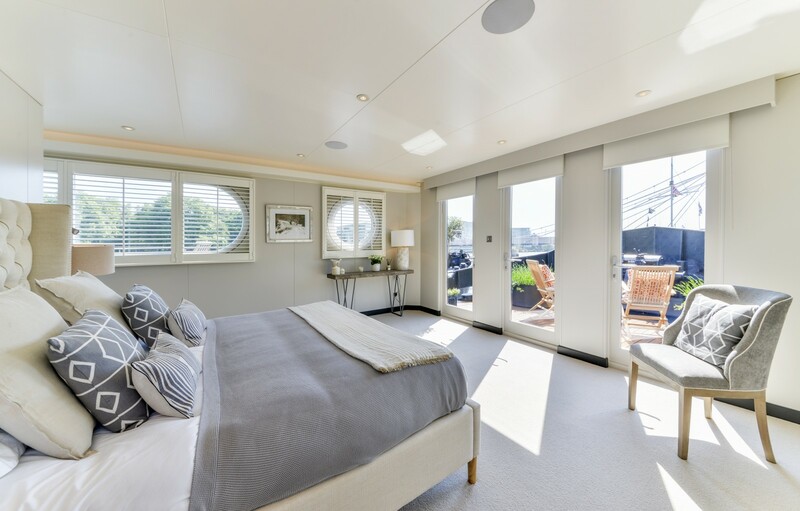 This is an amazing houseboat from which to enjoy the peace and tranquillity of the Thames.